Every individual has to take care of their body, and when it comes to doing that a lot of different factors can come into play. Everyone is going to have that one factor that will stand out more that others like acne. Nobody like acne, so taking care of it so you don’t have to deal with it is a must right? The thing is you always want to find a product that works for you. Well, I happen to know of a product that can work wonder for your skin. This could be a product that you might want to consider for your skin in the future. So check out the information on the product that I have for you below. 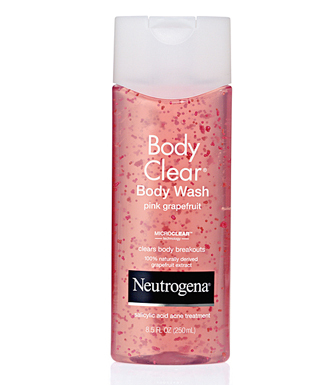 Neutrogena® Body Clear® Body Wash Pink Grapefruit would be a great selection for a body wash product. This is an incredible body wash that is refreshing can do a lot for you when it comes to skin care. This is a product that helps you both treat and prevent those aggravating breakouts. What’s special about this product is that if features an incredible formula using a key ingredient. This particular ingredient is a maximum strength dermatologist recommended acne medicine, something that isn’t in a lot of body washes. This medicine is called, Salicylic Acid, and it’s a type of oil-blasting Microclear technology. So if you love the sweet smell of grapefruit and healthy skin, this is the product for you. I can indeed be hard to try and find the right products that will fit you the best, but now your search is over. So check out the information on the product that I have for you above.